The word ‘Karkamsha’ has two components, ‘Karaka’ and ‘Amsha’. ‘Karaka’ stands for the Atma-Karaka while ‘Amsha’ indicates the Navamsha. The navamsha sign of the Atma-Karaka is the Karkamsha lagna.Of all planets, say Jaimini and Parashara, the Atma-Karaka (AK) is the ultimate controller, creater or destroyer of destiny. A Karkamsha chart is of vital importance in order to prognosticate events from the study of a horoscope. Without this chart, it may not be possible to understand a nativity clearly. Karkamsha, Ghati, Hora, Vighati charts, etc., are not mere decorative components of a horoscope. They are in fact as important as the lagna chart and must be rendered the same respect and treatment as the lagna chart. Karkamsha: Some Clarifications There has been a lot of confusion about what exactly is Karkamsha and how it must be used. This enjoins us to record the following points in order to dispel any misunderstanding about the concept of a Karkamsha chart. •	A planet which is the most advanced in degrees, compared with any other planet, irrespective of the sign inhabited by it, is called the Atma-Karaka (AK). •	The navamsha sign of the AK is called the Karkamsha lagna rashi. •	The Karkamsha chart is the navamsha chart. The only difference is that the navamsha lagna is not considered the first house, the sign occupied by the AK is the first house in the chart. •	Some astrologers have created confusion by stating that the Karkamsha sign is to be taken from the navamsha while the rest of the planets are considered as located in different signs in the birth chart. •	Confusion has been created between ‘Karkamsha’ and ‘Swamsha’. It may be emphasised that both have the same meaning according to both Parashara and Jaimini. The Sanskrit words ‘Swa’ and ‘Atma’ are synonymous. •	Both the Brihat Parashara Hora Shastra and the Jaimini Sutram have described results of different planets according to their navamasha signs only. Raja Yogas in Karkamsha Chart Raja-yogas forming in the Karkamsha chart fructify according to the strength of the AK. The AK is the basis of the Karkamsha lagna and must always be treated as a benefic. The placement of the AK in the natal chart does not seem to bear much importance but it makes a great difference in the navamsha chart where its position always coincides with the first house of the Karkamsha chart. The Raja yogas may form as follows : Karkamsha chart: Parashara states: 1. When the Sun and the Moon are placed in or aspect the tenth house, a Raja-yoga is confirmed if Jupiter (too) aspects the tenth. This is according to the dictum of the 2. Benefics in houses 2, 4 and 5 bring comforts of Raja-yoga. 3. Venus, Mars and Ketu placed in houses 1, 2, 4 and 5. 4. An equal number of planets in houses 1 and 7 exhibit Raja-yoga at an advanced age. 5. AK or his dispositor related (through association or aspect) to the Moon or Venus. 6. Benefics in houses 1 and 7. 7. AK and the Putra-Karaka (PK) conjoined or in mutual aspect. 8. Conjunction or aspect between the lagna (Karkamsha) lord and the fifth lord, with either or both of them in their debilitation, exaltation or own sign. 9. A natural benefic as the AK. Illustrations Here are a few illustrations to clarify the utility of Karakamsha in a horoscopic chart. Amitabh Bachchan was born on October 11, 1942; at 16:00 hours IST (War Time); at 25°N27', 8°E51'). Kumbha (Aquarius) lagna rises with four planets in the eighth house: The native has been an exceptionally popular cine artist and a legend in his lifetime. He has risen to a level in his career that none of his contemporaries have matched yet. During the premiership of Rajiv Gandhi, he was elected as an M.P. He has had very cordial relations with the Nehru family. He has thus enjoyed Raja-yoga without holding any political post. The Sun happens to be the AK in this chart. In the navamsha, the Sun occupies Simha (Leo), its own house. Simha thus becomes the Karkamsha lagna (in the navamsha chart). From here, a strong Venus (also in its own house) occupies the tenth house. The Jaimini aspect of Jupiter falls on this Venus, ensuring the presence of a Raja-yoga in the chart (rule no.1). Rajiv Gandhi) was born on August 20, 1944; at 8:11 hours IST (War Time); at 18°N58', 72°E50'. This former Primer Minister of India suddenly came on the political scene during the closing years of his mother Indira Gandhi’s reign. The AK here is Mercury which occupies Dhanus (Sagittarius) in the navamsha chart. The lord of the Karkamsha lagna, Jupiter, is exalted in Karka (Cancer) and opposed by its exalted fifth lord Mars (rules 8 and 9). Two benefics, the Moon and Venus, occupy the tenth from the Karkamsha lagna (rule 1) and establish a Jaimini aspect with the AK. The great Parashara himself advocates the recognition of Raja-yogas in the Karkamsha chart. Other yogas indicating a position of authority. Some other yogas that indicate a position of authority, from the Karkamsha chart, are as follows: 1. Malefics in houses 3 and 6: A person belonging to a royal family becomes a king with this combination. One belonging to an ordinary family would enjoy many worldly comforts, high status and a position of authority. In chart 4, Saturn and Ketu occupy the third house of the Karkamsha while the Sun occupies the sixth. 2. The AK and the Amatya-Karaka: The planet next in order to the AK is called as the Amatya-Karaka (AmK). When the AK and the AmK are mutually related, the native becomes a consultant to the state or a minister, enjoys highly responsible position and his intelligence is assured. 3. Well-placed AmK: When the AmK is placed in a kendra or a trikona in the Karkamsha chart, the native will be highly placed and will have deep relations with ministers and kings. This situation obtains in charts 1, 2, 3 and 4. 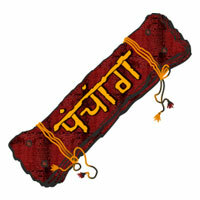 Name and Fame The following combinations also ensure name and fame to the native. •	AmK in houses 1, 5 or 9 in the Karkamsha chart makes a man famous and praiseworthy. •	When the lord of the Janma rashi (natal Moon sign) happens to be the AK, a position of authority and responsibility would keep coming up as the age advances. •	When the AK or the AmK are related to any yogakaraka, the native earns name and fame. Key words for amshas of the Karaka Sage Parashara suggests twelve different labels for the (atma-) karaka depending upon its location in a particular Dwadashamsha (the 1/12 division of the rashi or sign). Each Dwadashamsha is an arc of 2º30'. Twelve such Dwadashamshas form one rashi of 30 degrees. These labels or ‘key words’ are as follows (along with their extent in a given rashi): 1. Kubera (0° to 2°30'), the lord of Wealth. 2. Patanga (2°30' to 5°), the Sun or the Fire-god. 3. Hala (5° to 7°30'), wine or water. 4. Kireeta (7°30' to 10°), the throne. 5. Vihwala (10° to 12°30'), agitated or anguished. 6. Mayavi (12°30' to 15°), delusionist or delusive. 7. Mohana (15° to 17°30'), bewitching, delusion. 8. Kinnara (17°30' to 20°), a mythic being having a human body with the head of a horse. 9. Sarpa (20° to 22°30'), serpent. 10. Indra (22°30' to 25°), the king of gods. 11. Lila (25° to 27°30'), the cosmic delusive play. 12. Kokila (27°30' to 30°), the cuckoo. The above-mentioned words have implied meanings. They must be used to designate the AK depending upon its longitude (or its precise location in a rashi). •	The ones to be especially considered likewise are the AK, the lagna nakshatra lord (LNL), the lagna lord, the navamsha lord, the yoga-karaka, the Moon, the rashi lord, and the AmK. •	When several factors together fall in the apparently benevolent Dwa-dashamshas (as indicated by the meanings of the above-mentioned key words), the native is blessed with success in general during his lifetime. •	When a Raja-yoga giving planet falls in the Vihwala, Hala, Sarpa or Mayavi divisions, the good effects of such a yoga-karaka diminish markedly. •	Of the key words mentioned above: Kubera, Kireeta, Mohana and Indra (nos. 1, 4, 7, 10) are the best; Patanga, Mayavi, Kinnara and Lila (nos. 2, 6, 8, 11) are medium; Hala, Vihwala, Sarpa and Kokila (nos. 3, 5, 9, 12) are the least auspicious. In the chart of Amitabh Bachan, the Sun, Mars and Mercury fall in the category of Indra (no. 10). The Moon falls in Vihwala (no. 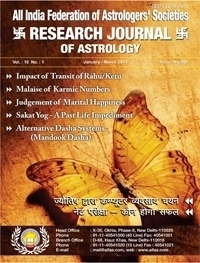 5), Jupiter in Kubera (no. 1), Venus in Mohana (no. 7), Saturn in Kinnara (no. 8), and the (cusp of the) lagna in Kubera (no. 1). 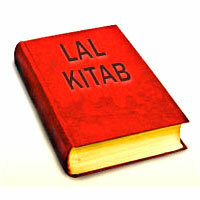 Thus the AK (Sun), the lord of the Janma rashi (Venus), the LNL (Mars), and the lagna are the best. The lagna lord Saturn is medium. And the Moon falls in an inauspicious station. This all reflects the dignified status of the native as well as his amazing success in his chosen field of work. Kemadruma in Karkamsha A Kamadruma yoga is one which is considered highly malefic and capable of negating the benefic influence of the best of Raja-yogas. Most astrologers would consider a Kemadruma yoga to be in existence when the Moon has no planet (other than the Sun) located in either its preceding or suceeding house. However, there are combinations in the Karkamsha chart too which result in a Kemadruma yoga leading to persistent misery and a life of struggles and failure. • A Kemadruma yoga, the yoga of poverty and misery, results when equal number of malefics occupy houses 2 and 8 in the Karkamsha chart. • This adverse yoga is certain when the Moon aspects either or both of the above- mentioned houses. • The same combination may be considered in cases of the natal lagna as well as the Pada-lagna. Bandhana Yogas or Yogas indicating Incarceration These are yogas which indicate imprisonment, kidnapping or detention by force. The Karkamsha chart is an important chart to study for such events. The following points need to be taken note of: • A Bandhana yoga is formed when equal number of planets occupy the paired houses 2 and 12, 3 and 11, 4 and 10, 5 and 9, or 6 and 8, involving either one pair of the houses mentioned or more than one pair simultaneously. • If the dispositors of these planets (mentioned above as occupying the paired houses) are aspected by other planets, there is no kinapping or detention. However in such cases, some physical trouble should be indicated. 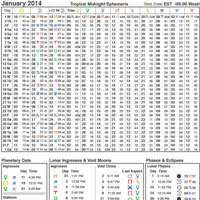 Mode of Death The Karkamsha chart may also be studied to decipher the time and mode of death of the native. Malefics placed in houses 2, 3, 6, 7, 8 and 12 in the Karkamsha chart indicate a violent death while benefics in these houses indicate a peaceful or comfortable death. Gullika too becomes important when it occupies the same sign in which the AK falls in the navamsha. In other words, the sign occupied by Gullika in the birth chart may indicate adverse results if this sign happens to be the Karkamsha lagna. One may also see the 8th house of the Karkamsha chart for the mode of death, according to its Karkatwa. In chart of Mr. Rajiv Gandhi), the adverse houses mentioned above are occupied by Mars (2nd house), Saturn and Ketu (3rd house), Sun (6th house) and Jupiter (8th house). These planets may become important at the time of death. Rajiv Gandhi died when it was the major period of Rahu and the sub-period of Mercury. Rahu falls in the 8th house from the Gullika which occupies Dhanu (Sagittarius), in the 5th house of the natal chart. In the Karkamsha chart, Rahu’s dispositor, Sun, occupies the sixth house while Rahu’s equivalent (i.e., Saturn) occupies the 3rd house along with Ketu. Mercury, the AK and the sub-lord, occupies Dhanu (Sagittarius) in the navamsha, the same sign as occupied by Gullika in the natal chart. Varied Combinations in Karkamsha Chart Here are some tips about the indications that varied combinations existing in the Karkamsha chart provide: •	Benefics in the kendras and trikonas (in the Karkamsha chart) make the native wealthy and comfortable in life. •	When the AK is associated with other planets (in the Karkamsha chart), the native attains prominence amongst his family members. •	Ketu in the 2nd or the 9th house, aspected by or associated with malefics creates speech disorders. •	Venus or Mars, occupying or aspecting the 2nd or the 9th house, make a person inclined to extramarital affairs. •	Benefics in the 3rd generate an unstable or timid mental state. •	A strong planet occupying or aspecting the 4th house gives property and vehicles. The Moon alone here does not generally give these results. •	The Moon and Venus having aspectual relation in the 4th house cause skin disorders. •	Malefics in the 5th house cause disease. •	Ketu, Rahu or Mars associated with the AK cause multiple ailments. •	One strongly placed malefic in the 5th house makes the person learned and intelligent. •	A benefic in the 6th produces a lazy person. •	Mars, Saturn and Rahu in the 7th make the spouse prone to ailments. •	Ketu or any exalted planet in the 12th yields spirituality and religious inclinations.